Home & Office Deep One Off & Regular Cleaning Service Greater London SE | Quality Property Care Ltd.
It’s easy to enjoy a clean home, call for Quality Property Care Ltd. professional regular cleaning help by dialing 020 3746 4287. You can contact us as our customer service team is available at all times, no obligations, free of charge, simply call and ask anything cleaning related. This is a household cleaning service suited to your personal needs, you can book it whenever you like for as long as you like, without any extra fees for canceling whenever you need to cancel. The service is reserved once, and it automatically renews unless any other adjustments are made to the arrangement you have originally agreed to. The service itself is performed by only one regular cleaner, the purpose is to provide an successful cleaning service at a regular schedule, without any hassle. The cleaner is booked, and they start cleaning whenever you have booked, the regular schedule allows the cleaner to get to know the premise a lot better, making their work a lot more efficient. You can use this service as frequently as you’d like, though keep in mind that it is hourly based and the cleaner cleans as much as they can for the set amount of time. 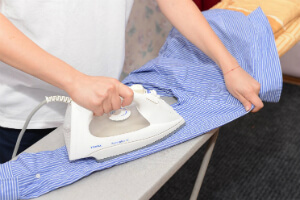 For housekeeping services tasks like dog feeding and laundry, plant water and so on you can book some extra time as the service does cover these tasks, however, our cleaners are not certified for other tasks like cooking and child care, or dog walking. We can hold keys and clean while you are not home or during working hours so you come back home to clean, tidy place. If you prefer the same cleaner each time, keeping the same time slots will help drastically as they have more than one location to clean and sometimes the time slots might interfere. If you are fine with getting a different made then you can choose whichever time suits your personal calendar.